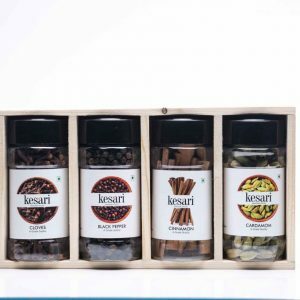 Finest and Premium quality aromatic spices in 4 in 1 Spice Box (Cardamom – 40gm, Black pepper -70gm, Cinnamon – 40gm, Clove – 45gm), Freshly Packaged. 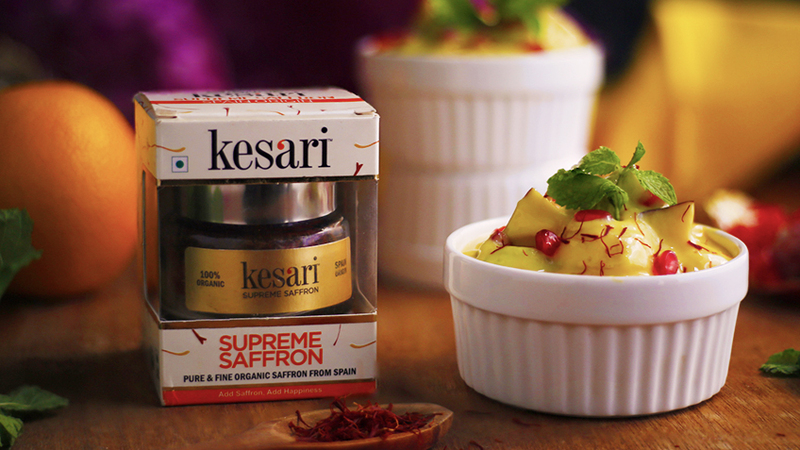 A great spice package for cooking. 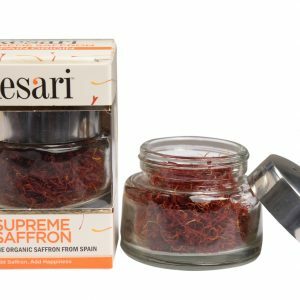 Ideal gift for anyone interested in cooking. 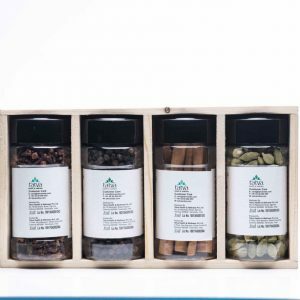 A perfect gift for Christmas, birthdays, anniversaries Or other special occasions. 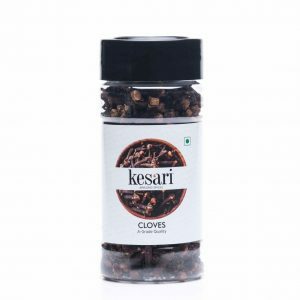 Cloves are flower buds that come from the clove tree. 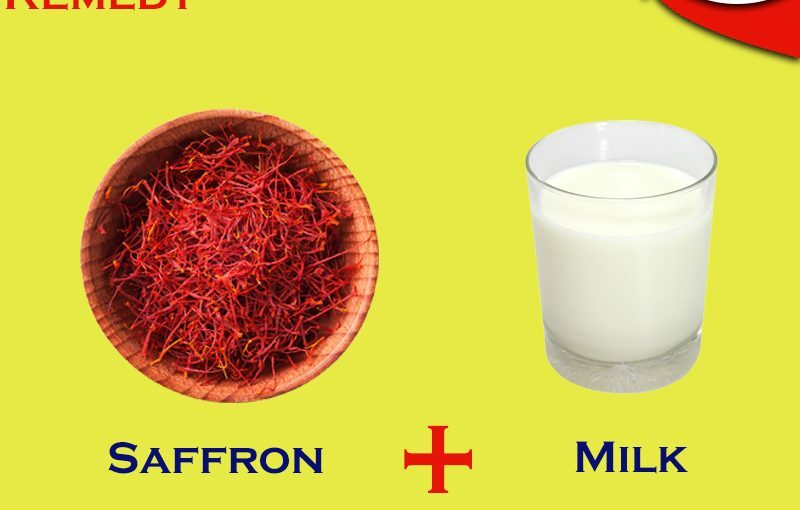 They have a spicy and pungent taste and are known for their anti-inflammatory and antidiabetic properties. 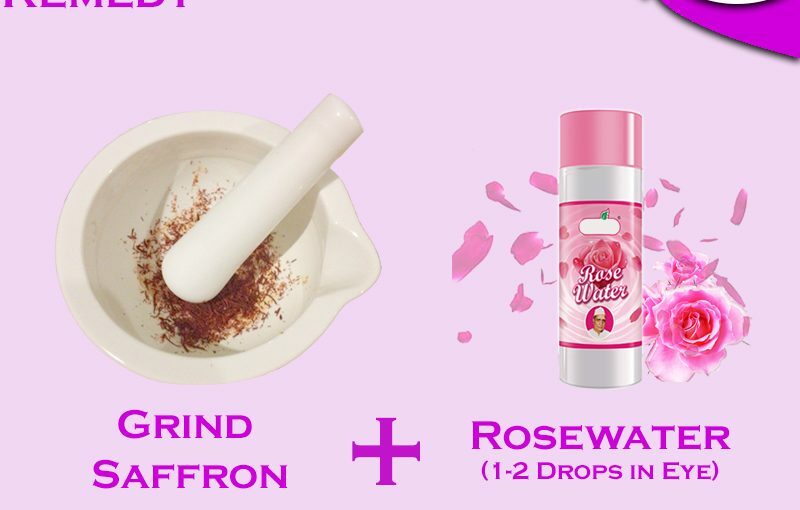 Clove is most commonly applied directly to the gums for a toothache, pain control during dental work, and other dental-related issues. 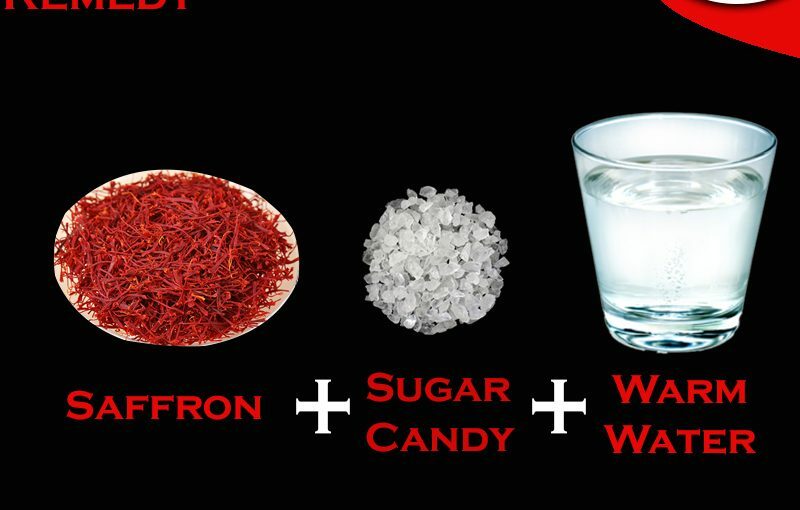 Cinnamon is made by cutting the stems of cinnamon trees. The inner bark is then extracted and the woody parts removed. When it dries, it forms strips that curl into rolls, called cinnamon sticks. 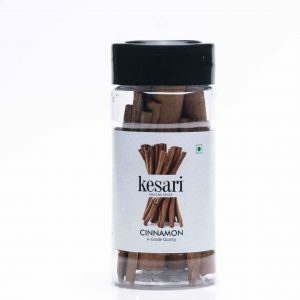 These sticks can be ground to form cinnamon powder.Cinnamon is a powerful spice that has been used medicinally around the world for thousands of years. 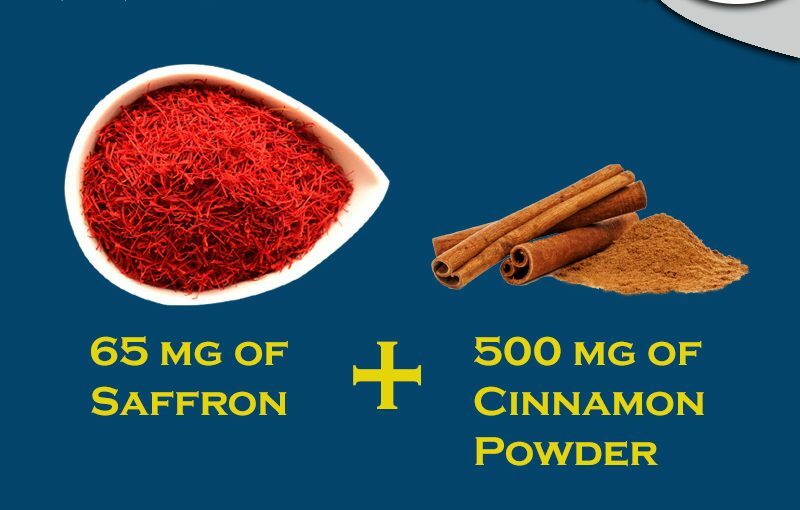 It is still used daily in many cultures because of the widespread cinnamon benefits, its distinctly sweet, warming taste and ease of use in recipes. 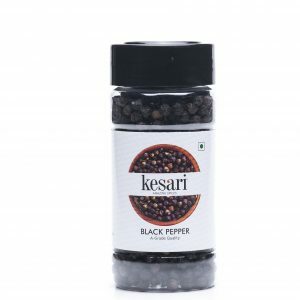 Black pepper is perhaps the best-loved and most widely used spice in the world, adding both heat and depth of flavor to nearly any dish. It comes from the berries of the pepper plant (Piper nigrum), native to Asia, which also produces green and white peppercorns. 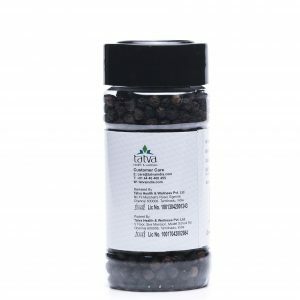 Black pepper is an essential ingredient in Indian system of medicine. Piperine, the pungent principle in pepper oleoresin helps to enhance bio-availability and therefore used in pharmaceuticals. The major functional properties of pepper are analgesic, antipyretic, anti-oxidant and anti-microbial. 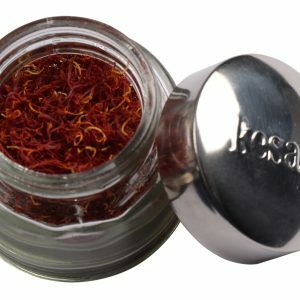 Pepper is largely used in canning, pickling, baking, considering for its preservative value. 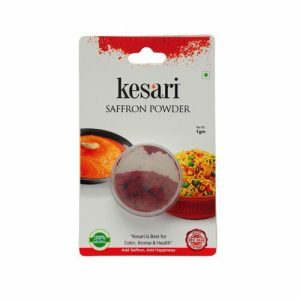 It has the ability to correct the seasoning of dishes, therefore used as a final dash at the end of cooking to effectively adjust the flavor. 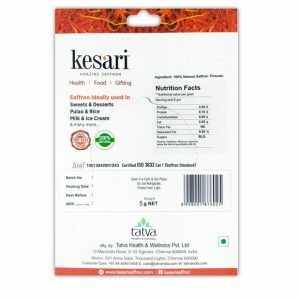 A Grade Quality Black Pepper (Kali Mirch). 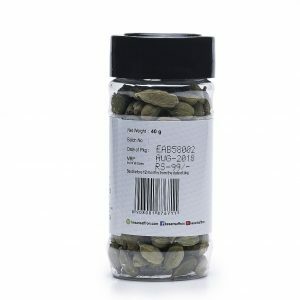 Cardamom of commerce is the dried ripe fruit (capsules of cardamom plant) often referred to as the “Queen of Spices” because of its very pleasant aroma and taste. Cardamom oil is a precious ingredient in food preparations, perfumery, health foods medicines, and beverages. 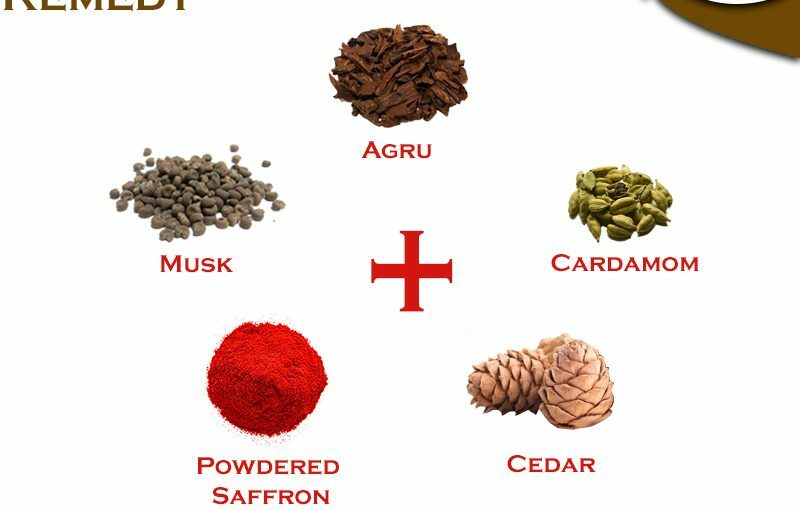 India, a traditional exporter of cardamom to the Middle East countries where it goes mostly into the preparation of ‘Gahwa’ – strong cardamom. 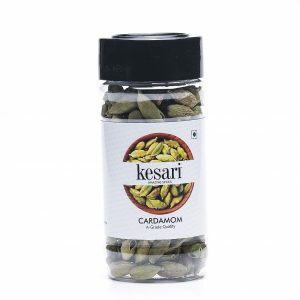 Cardamom is used mainly in Indian cooking as well as Middle Eastern cuisine. In Indian recipes, whole cardamom pods are used in preparing basmati rice and various curries. In Middle Eastern recipes, ground cardamom is used in preparing certain desserts. A Grade Quality Cardamom (Elaichi). 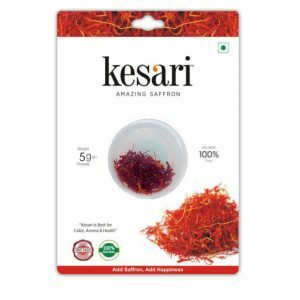 Kesari’s ISO 3632 certified 100% Natural premium All-Red saffron available in 25g packaging for bulk buying. 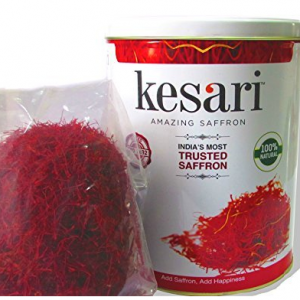 This Pack contains 1gm of Spanish Saffron Supreme. 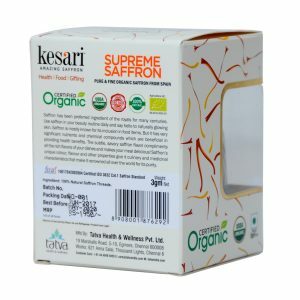 Posted on December 26, 2018 December 26, 2018 Author kesariCategories Blog, Saffron Based Home RemediesLeave a comment on How can you lower you blood sugar without medication? 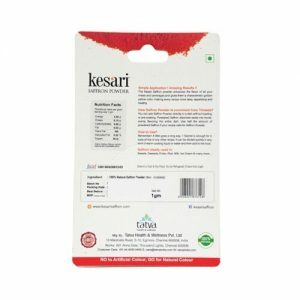 Posted on December 26, 2018 December 26, 2018 Author kesariCategories Blog, Saffron Based Home RemediesLeave a comment on What is the Natural Remedy for Eye Pain? 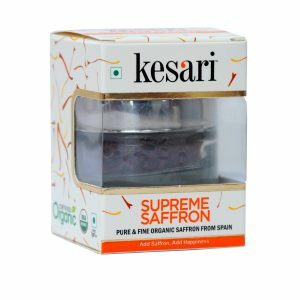 Posted on December 26, 2018 Author kesariCategories Blog, Saffron Based Home RemediesLeave a comment on Severe Cold – How to treat at home? 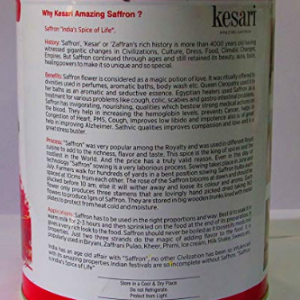 Posted on September 13, 2018 November 22, 2018 Author kesariCategories RecipesLeave a comment on Saffron Shahi Toast Recipe.